Make use of your existing Sony A- and Minolta AF-mount lenses on your Sony Alpha E-mount camera with this Pro Lens Mount Adapter from FotodioX. Precision-crafted out of brass and finished with stainless steel, the adapter provides a secure and solid camera-to-lens connection. Additionally, it supports focusing to infinity. Note: This is a manual adapter. It does not support lens functions that rely on electronic communication with the camera body. 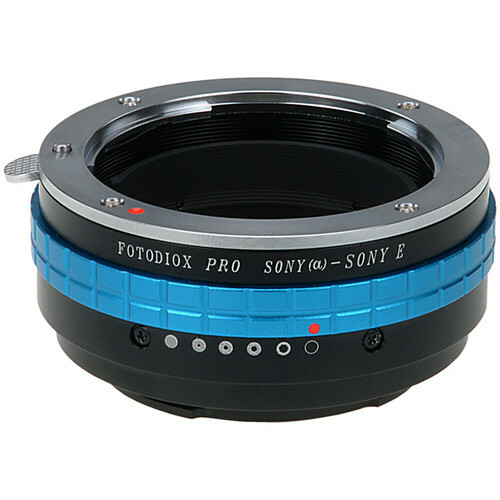 Box Dimensions (LxWxH) 3.2 x 2.9 x 1.3"
Will this adapter control the aperture on Minolta A mount auto focus lenses?